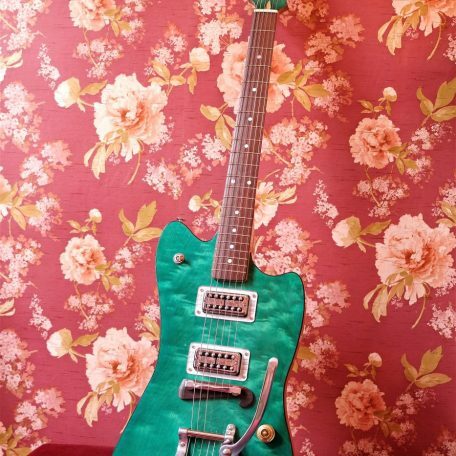 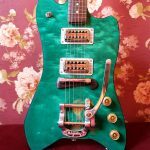 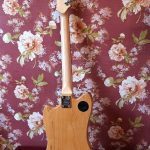 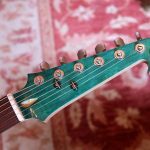 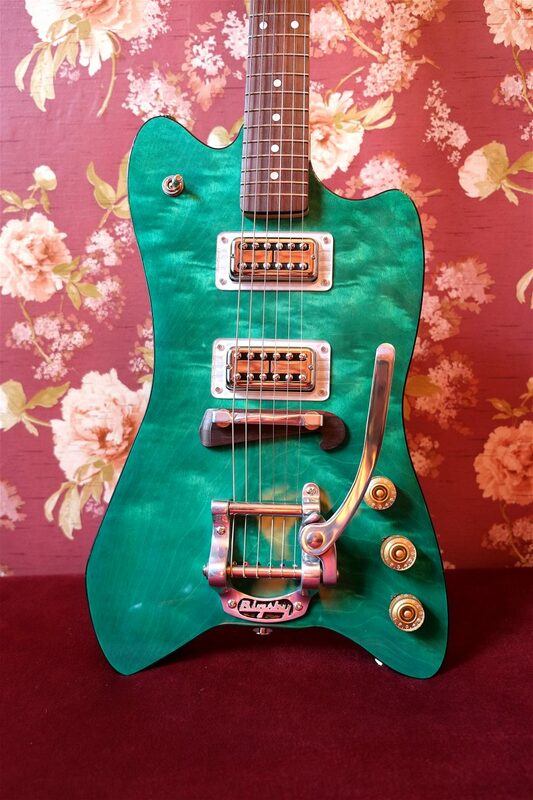 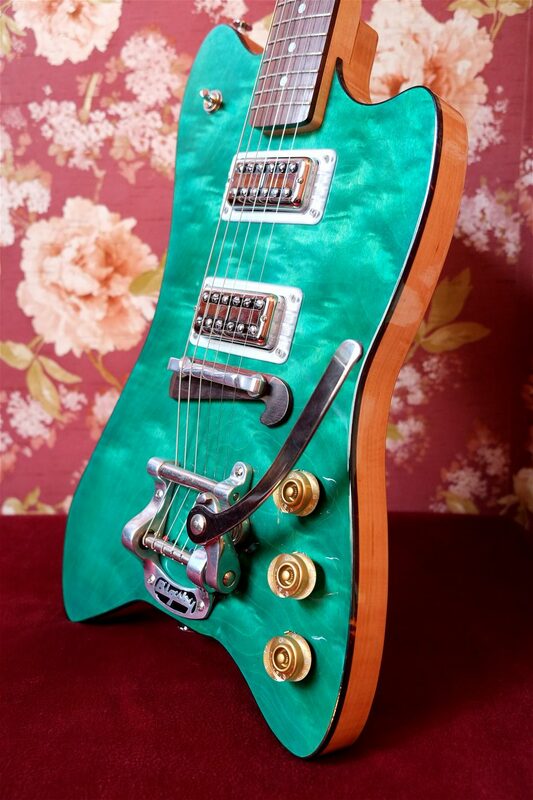 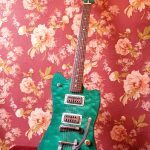 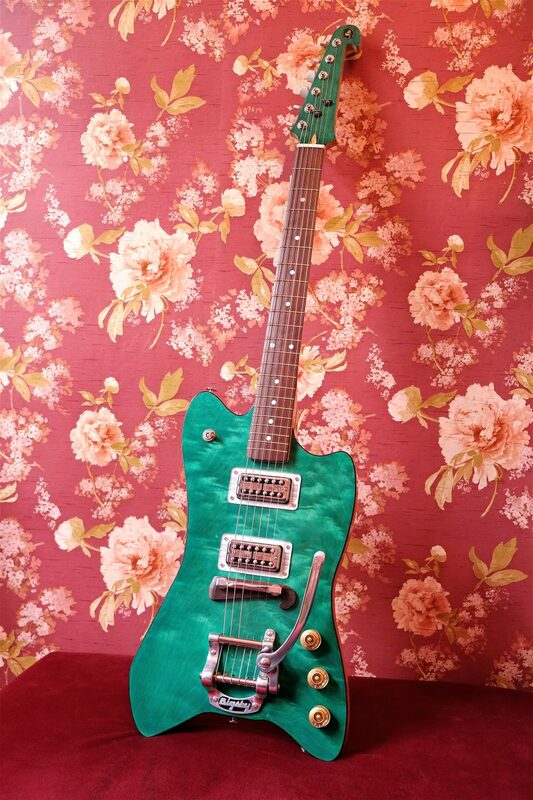 The Green Fabillac is a chambered solid body guitar. 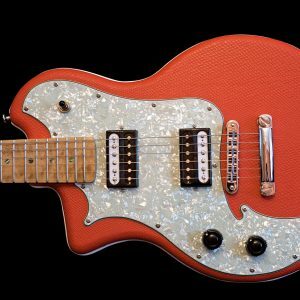 The body is made of Alder with a figured European maple wood top, trimmed with a classy tortoise celluloid binding . 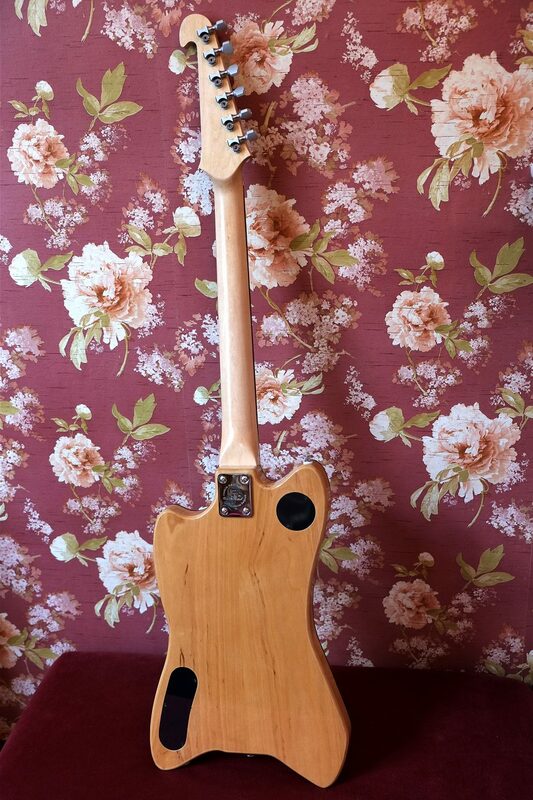 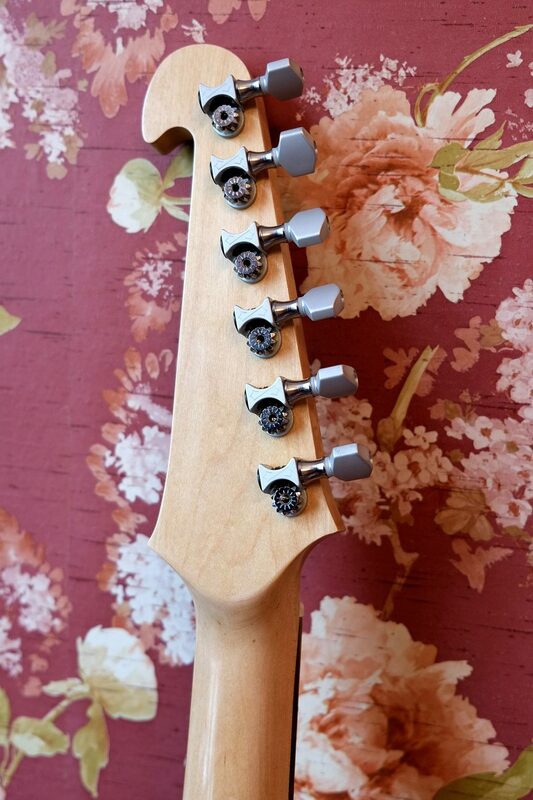 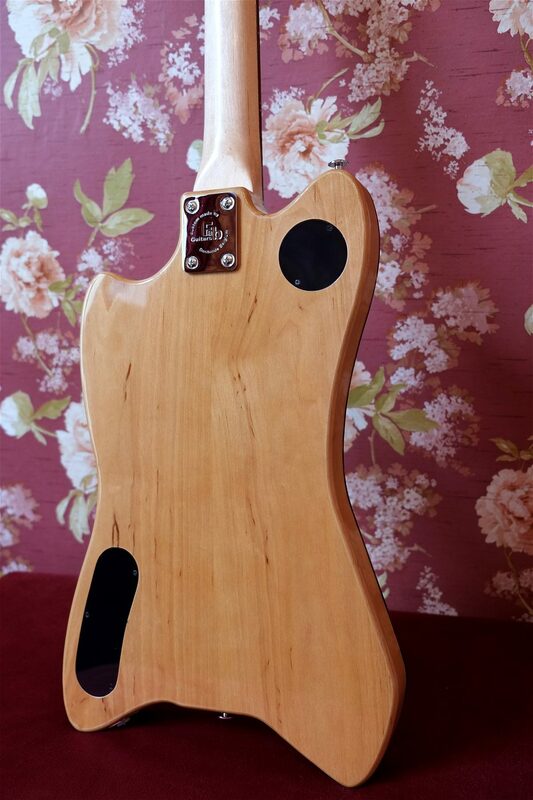 It has a maple neck with a straight headstock and a Madagascar Rosewood fingerboard. 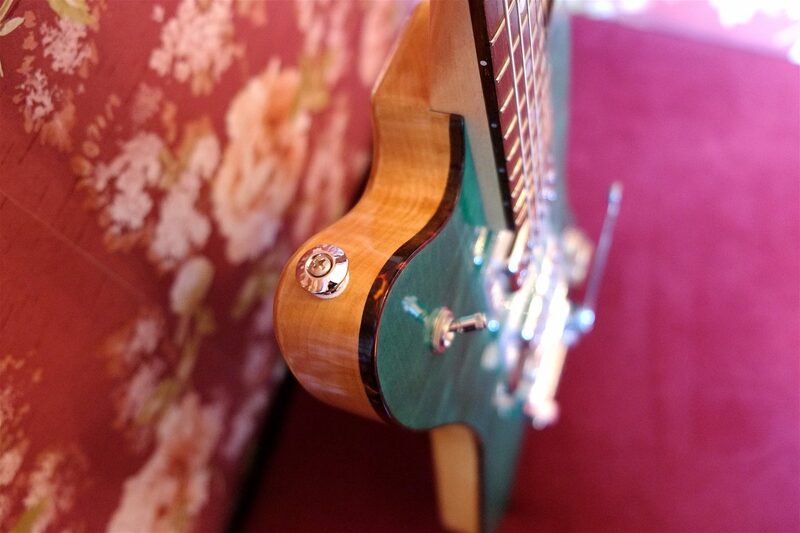 The 2 Filtertron style pickups have custom specifications and are handwound at my workshop. 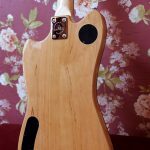 The neck pickup is wound with thinner AWG43 wire to give it a better bass response and higher output than a standard filtertron. 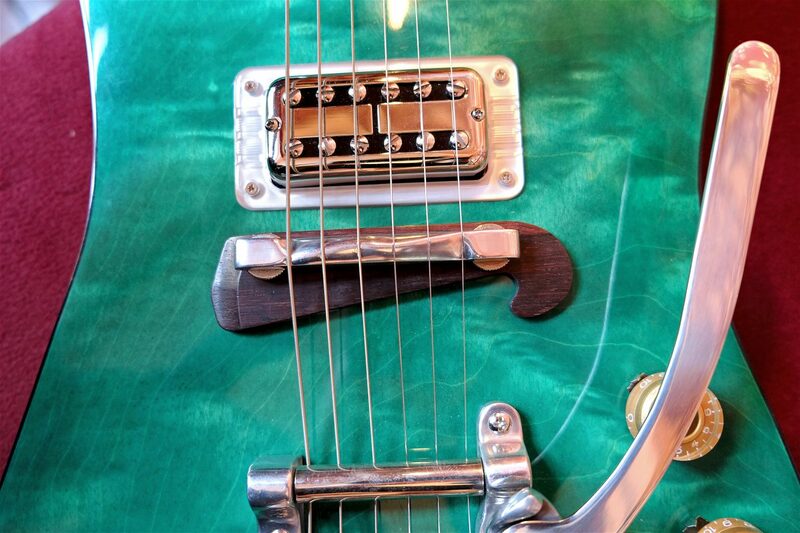 The bridge pickup is wound with standard AWG42 wire but has more winds to bring it closer to a PAF humbucker. 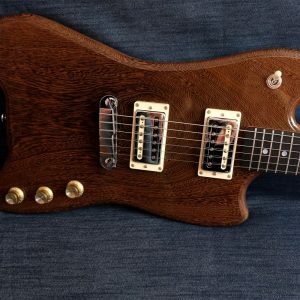 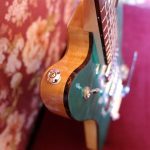 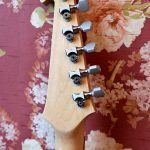 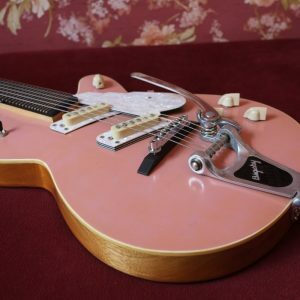 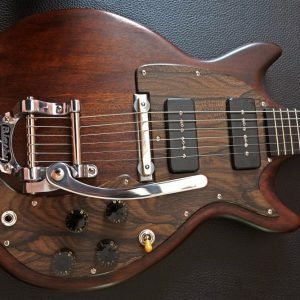 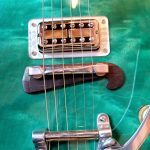 However, with the double hight AlNiCo V bar magnets underneath, you have a much more articulate and twangy sound than you’d get out of the average humbucker pickup. 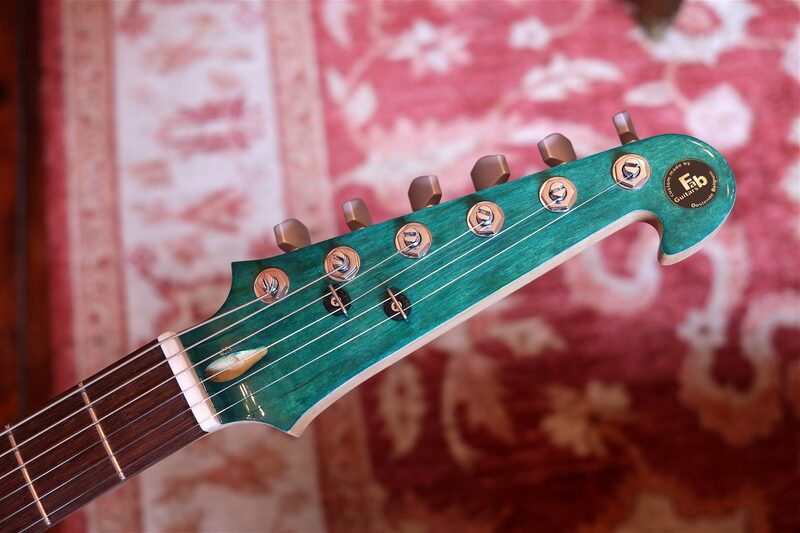 Each pickup has it’s own push-pull volume pot for series / parallel switching. 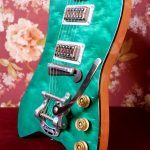 With the Bigsby B5 tailpiece, aluminum bar bridge and open Sperzel Sound Lock tuners the total weight of this guitar is just under 3100 grams!